There are few islands in Europe with as diverse and fascinating marine life as Malta. Scuba diving is, unsurprisingly, a hugely popular activity during the summer. For a reasonable price you can spend an hour or two exploring the colourful life under sea and even swim through shipwrecks. The best sites for scuba diving in Malta include the Santa Maria caves and Reqqa Reef. 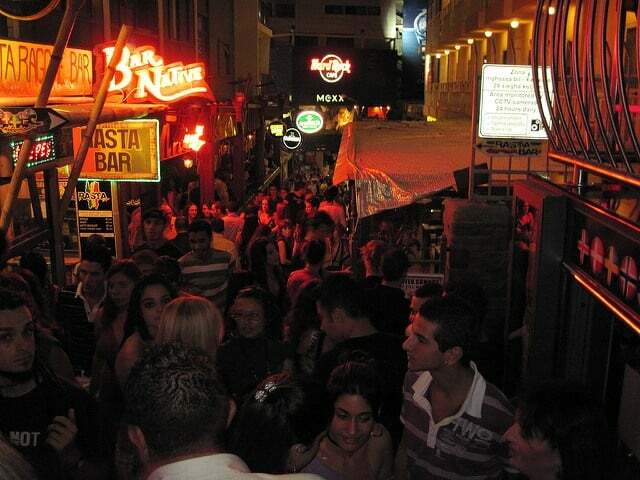 Paceville is the island’s nightlife hub, and known as one of Europe’s most popular party destination. The famous district is comprised of nightclubs, strip clubs, cocktail bars, fine dining restaurants, shops, fast food outlets and much more. During the summer, the streets are buzzing with international crowds of party animals until well into the early morning. Some especially popular clubs include PLUSH and Club 22 which is situated at the top of Malta’ tallest tower, the Portomaso Building. 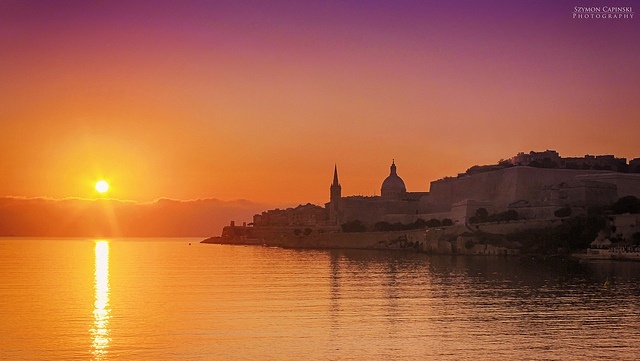 Malta has a strong casino culture – particularly when it comes to poker. 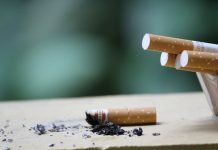 This is in part because of its many live poker tournaments such as the annual Battle of Malta, but also because of the many Malta-based igaming businesses which operate tournaments online. You’ll find a lot of opportunities for low buy-in games at professional and modern casinos across the island. If you’re in Paceville, try Portomaso Casino or Olympic Casino Malta. Italian, Turkish, Greek and British cuisine have all had an influence upon the unique culinary culture of Malta. Traditional dishes usually include a lot of rabbit, tuna, beans, capers, cheese, pastry and bread. The Gozitan goat cheese ‘Gbejna’ is especially popular amongst locals, whilst desserts are often of a biscuit-like texture and flavoured with almonds, dates or honey. For a real taste of Malta, try the island’s own distinctively-flavoured soda drink ‘Kinnie’. The capital of Malta, and a UNESCO World Heritage Site; Valletta is a gorgeous town brimming with history and culture. Here is where you will find a range of museums, galleries, cosy restaurants, historic buildings and the Manoel Theatre. If you’re interested in war history, don’t miss the underground Lascaris War Rooms for a glimpse into the pivotal role Malta played during the first and second world war. Gozo is the largest island in the Maltese archipelago (after Malta itself). This rural island has fantastically scenic beaches, cliffs and open landscapes to experience. Hiring a jeep is a good idea for those who want to take in as many sights as possible. There’s also a wealth of outdoor activities in which to partake – from rock climbing to archery – and plenty of beachside restaurants in which to enjoy lunch. The fortified town of Mdina is a Game of Thrones filming location, and for obvious reasons. Its Medieval architecture and historical character gives the town a mystical atmosphere – like you’re stepping back in time. ‘The Silent City’ (as Mdina is sometimes called) is also famous for its colourful glass products which make great souvenirs. Mdina is one of Malta’s biggest tourist attractions, and a must-see for all history lovers. Malta is the perfect destination for both geology and archeology-lovers. Rock formations such as the iconic Azure Window make for captivating sights, whilst the bizarre Gozitan cart ruts and St Paul’s catacombs give a fascinating look into Malta’s past civilizations. Whether you’re planning on touring the coasts of Malta’s many fishing villages, or want to do some fishing yourself, there are plenty of places from where you can hire a boat. Alternatively, I can you sign up for a round-island cruise or join boat excursion to places such as the Blue Lagoon. With any luck, you might get to enjoy some dolphin spotting too. 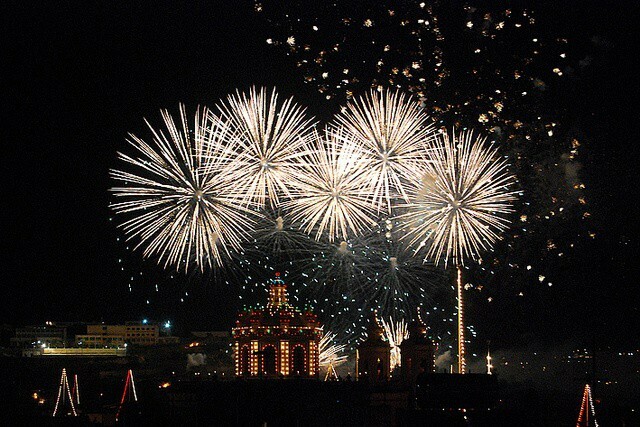 Malta loves celebrations and festivals – especially ones that warrant fireworks and feasts. There are a number of religious and cultural celebrations throughout the year, from the Birgufest and Hamrun Chocolate Market, to the Vallettan Jazz Festival and Notte Bianca. Check Malta’s official events schedule for information on events.